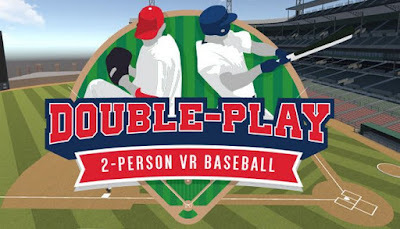 Double Play: 2-Player VR Baseball is developed and published by Blue Newt Software. It was released in 21 Jul, 2017. Double Play is a local two-player VR baseball game. One player pitches, one player hits, and AI fielders take care of the rest. Play through a complete game, taking turns hitting and pitching. The standard rules of baseball are at play: balls, strikes, fouls, home runs and more. Multiple skill level presets allow people of different ages and skills to play together. As the batter, you’re fully immersed within the headset. Take your at-bats as the other player pitches. Well tuned physics makes hitting both realistic and controllable, but also approachable. Swing for the fences!